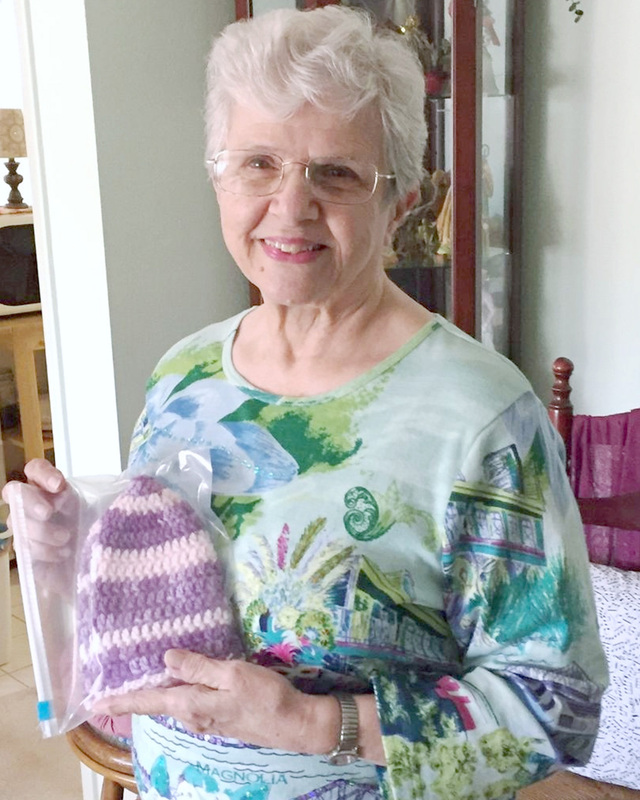 Sun City Center Jean Sullivan holds the 1,000th cap she crocheted and completed in January. The caps go to cancer patients who lose their locks during treatment. Jean Sullivan’s mother taught her to crochet when she was 13, and she’s been perfecting her stitches ever since. Originally from Milford, N. H., Sullivan moved to Sun City Center 13 years ago. One of her friends here taught her how to crochet “cancer caps,” and after making a couple, she offered to make one for a woman who had lost almost all her hair during treatment for the disease. “She was thrilled,” said Sullivan, who was seated in a waiting room with her. “I finished it while she saw the doctor. Having started in 2011, Sullivan recently completed her 1,000th cancer cap in early January. Most were donated to the clinic. Others went to friends and family. After hitting a total of 1,000 cancer caps in early January, Sullivan continues making more. 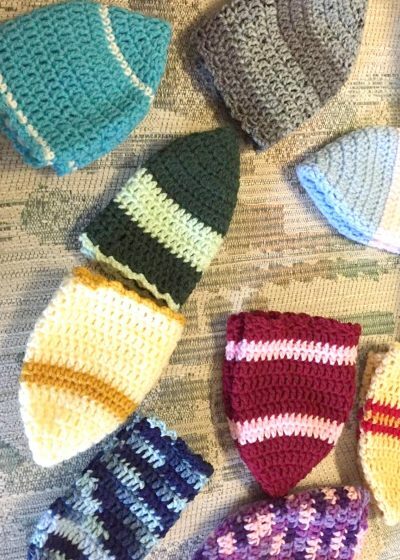 It takes the industrious senior under two hours to crochet each cap, which she pays for herself. Sullivan fills her days with more than crocheting. The Prince of Peace parishioner works part time at Bon Worth and Fletcher Music, and she owns and plays an organ at home. Before retiring she was in the fields of banking and graphic arts, and she’s traveled to all 50 states, except Oregon, California, Nebraska and North Dakota. “I’ve known Jean for about 17 years now,” said Dolores Dudzik, of Sun City Center. “She always doing something with her hands. “She’s very generous with her time and helps anyone who needs it,” she continued. She even made a cap for my son in Massachusetts, who’s been fighting cancer for the past four years. Dudzik said most of the time her friend has no idea who’s going to be wearing one of the caps she makes. She simply leaves them behind at the Bradenton clinic for anyone to take.